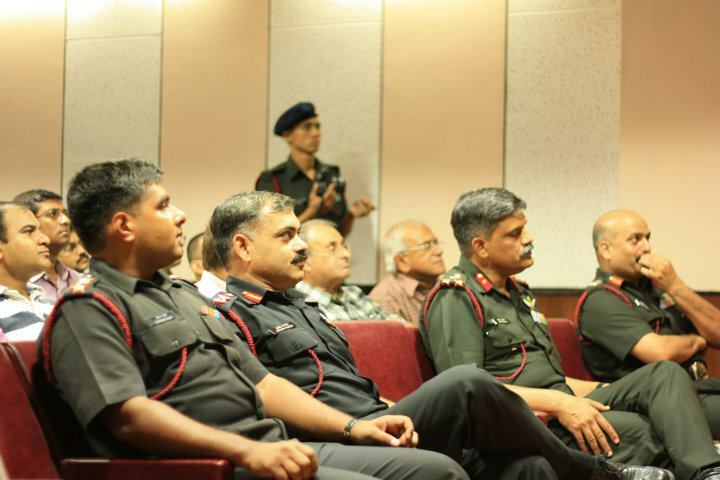 XLRI Jamshedpur - News and Latest Updates: Leadership Lessons, In Uniform! 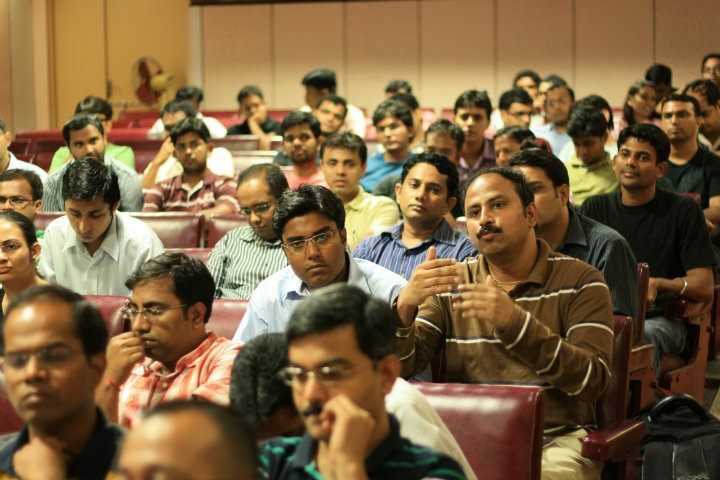 Hosting CEO’s and having them talk about Leadership and challenges with MBA Grads is not uncommon in business schools. The leaders share their experiences and enlighten the students about various topics that range across Human Resource Management, Strategy, work-life balance and life in general. However, to have a highly decorated Lieutenant General from the Indian Army, dissect the concepts of leadership and tear apart the notions held by the students about corporate leadership, is definitely not a common happening! XLRI Jamshedpur, proudly played host to Lieutenant General Vijay Kumar Ahluwalia, General Officer Commanding-in-Chief, Central Command, Indian Army. A recipient of the Ati Vishisht Sewa Medal, Yudh Seva Medal and the Vishisht Seva medal, the Lieutenant General is an alumnus of the National Defence Academy and has had a long, distinguished and meritorious career. The session was attended by Professors and students from the General Management Program, Business Management and Human Resource Management programs, the three flagship programs of XLRI. The Lt. General was in a particularly reflective mood and began by telling the students about his role model Field Marshal Sam Manekshaw, and reminiscing about a speech given by the Field Marshal during a parade of which the Lt. General was a part of. 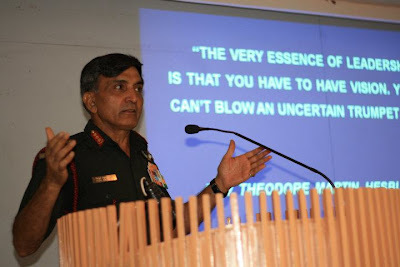 Interestingly, the Lt. General followed by highlighting the current “Age of Turbulence” (referring to rising unemployment, poor economic conditions and the like). 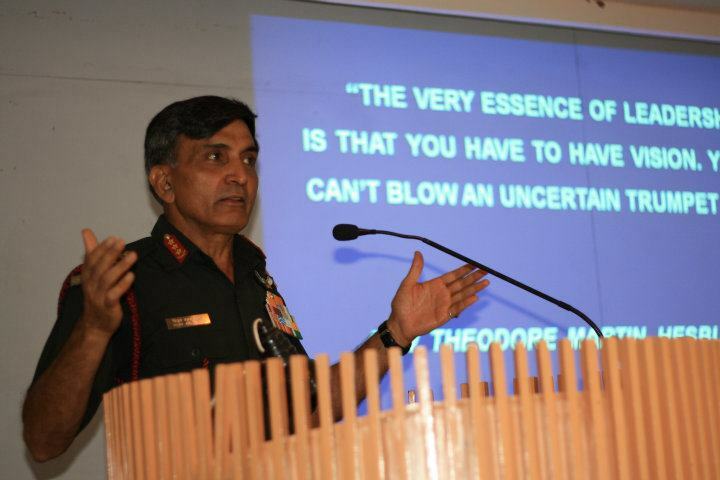 The emphasis was on “fighting the fog of war”, a metaphor to the shakiness of the turbulent times, through six leadership mantras. The talk progressed to discussing about the Volatile, Uncertain, Complex and Ambiguous (abbreviated to VUCA) environment that was further complicated by the lack of emphasis on a long term vision in the corporate offices. Through his past experiences in the famous Kargil and Tiger Hills, he provided valuable insights and helped emphasize the importance of leaders understanding and effectively managing their teams. Citing numerous examples and anecdotes, the Lt. General sent a strong signal on the importance of having a long term vision that looked beyond just profits and revenues. He also drove home the points on the far reaching benefits of training people and having a skilled workforce. The Lt. General concluded his speech by expanding on the 6 leadership mantras namely Compelling Vision, Character, Competency, Communication Skills, Innovation and being Technology Savvy. It is but human nature to warm to somebody with whom we can relate, his humility was palpable in his final quote “A leader is all, because of his team”. And there was as much food for thought for all of us after the address as there was admiration for the man!